The ways to improve your garden furniture are limitless! How about a weather-resistant cover for your newly-purchased BillyOh garden furniture? Or a useful parasol to shade it from the summer sun? Shop BillyOh Garden Furniture Accessories and get introduced to a wide selection of covers, cushions, parasols, and natural furniture treatments. Check out our shop now for high-quality cool patio accessories you can get at low prices. BillyOh is about creating a garden lifestyle, and we want you to create your own. 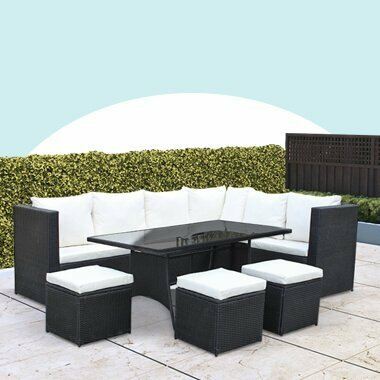 We know that there’s nothing worse than finding your ideal garden furniture set to then find that some time down the line it begins to get damaged from potential harsh weather conditions. Therefore, an affordable BillyOh furniture cover, made from Polyvinyl Chloride (PVC) or Polyethylene (PE) is an essential investment. Anyone of our outdoor furniture covers is able to ensure your beloved patio furniture is protected against wind, rain, snow, hail and sun. Therefore extending the lifespan of your outdoor furniture. One essential garden furniture accessory is furniture treatment. Taking care of your garden furniture by coating it in the relevant treatment can be the difference between your outdoor furniture lasting a few years or a lifetime. That’s why we endeavour to offer you the treatment we believe is essential to keeping your furniture in good condition for a long period of time. It’s a fact that garden furniture deck accessories are comfy, but opting for garden cushions could be the key to being able to sit outside on your garden furniture all day long. Available in a number of colours, our BillyOh garden cushions are able to suit either a modern or a traditionally designed garden. Furthermore, many of our garden furniture cushions are UV and water resistant, meaning you don’t need to worry when the rain begins to pour or if the cushions are left outside in the sun all day. However, it is still recommended to store them away during winter months. WIth one of our BillyOh garden cushions, you may find that you never want to move out of your garden!